It possesses many years’ in-depth knowledge of business, the financial market, extensive experience of working with SMEs, and understanding of consultancy, applied research, technology transfer and international strategic marketing skills. Specializes in knowledge intensive multilingual services, knowledge structure & transfer, communities of knowledge, measuring the value of non tangibles from a methodological viewpoint, human/machine perspective in Cloud/SaaS environments, Open Innovation, Systemic Eco Innovation, eLearning, e-Business, new methods of work; collaborative working, interdisciplinary & cross-disciplinary work. Caterina started her marketing career at FERRERO OHG, Germany (6 years), followed by the responsible direction of a cultural exchange organisation with 153 people. She has more than 25 years experience in international marketing, as well as knowledge and technology transfer, and was CEO of FUTUREtec for 14 years, leading an interdisciplinary team of experts in the fields of ICT, knowledge transfer from research to SMEs, deployment plans and activities, and project management. Since 2008 she is the CEO of PROMIS@Service S.à.r.l. Recognised thought leader and keynote speaker at international conferences; co-founder of the ‘European Entrepreneurial Regions Initiative’ taken up by the Committee of the Regions; past vice-chair of the high-level advisory group DG Research for SMEs; member of the Ethical Review and of AI& Society (Artificial Intelligence and Society), Springer Verlag. 11 international publications. 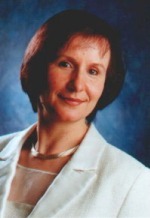 Caterina Berbenni-Rehm, holds a PhD in modern Philology.